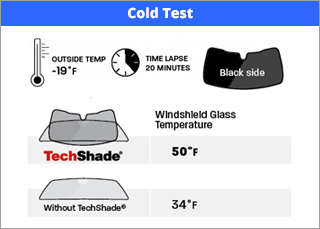 TechShade Windshield Sun Shades are custom fit for your , vehicle, and when properly installed, will remain snug in each window opening. For added security, fold down the visors to hold Techshade in place. TechShade full vehicle kits help keep your entire vehicle's interior temperatures down while protecting it from the sun's damaging effects. 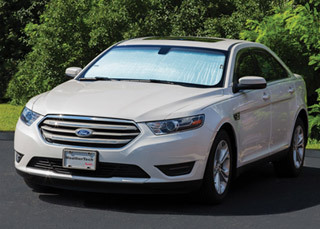 TechShade full vehicle kits include 4 or 8 pieces depending on the vehicle model. 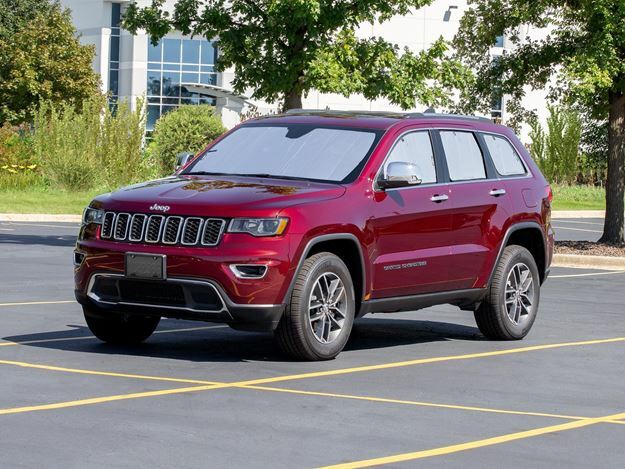 The Product Development team here at WeatherTech put the TechShade to the test and performed a series of "Hot and Cold Tests" simulating some of the hottest and coldest months of the year. 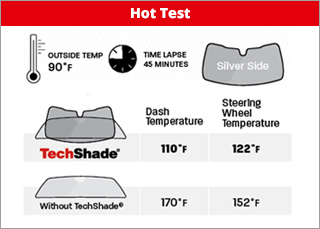 In the summer months, when temperatures can soar into the triple digits, the TechShade significantly reduces the temperature of your vehicle's dashboard and steering wheel. 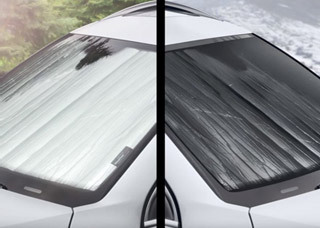 In those freezing winter months, flip the TechShade around to its dark surface and it will help attract the sunlight, warm up your vehicle's windshield/interior and avert frost build up. 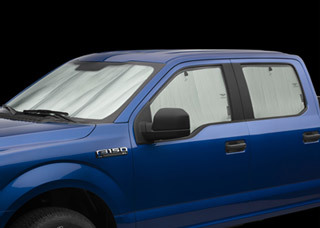 Each TechShade features a foam core, which makes for easy handling and a sturdy fit in vehicle windows and windshields. 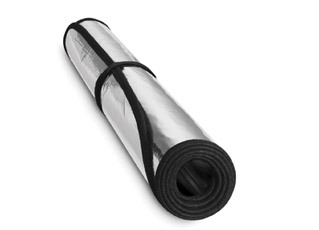 TechShade can easily be rolled up and stored with the help of its hook and loop strap system. 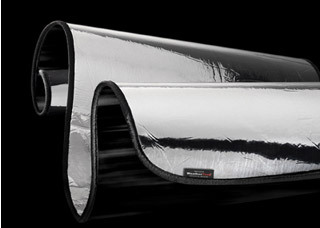 Specially-designed storage bags are also available for purchase.